The Nutcracker Musical Carousel combines two of the season’s most enjoyed delights- nutcrackers and music! Each of these enchanting accent pieces measure approximately 12cm wide by 23cm in height, and is the perfect size to place in the smaller spaces of your home when you want to add a bit of holiday magic to your Christmas. Each of the three carousels feature a different colour theme that are perfect for the coming holidays- red, blue, and green. 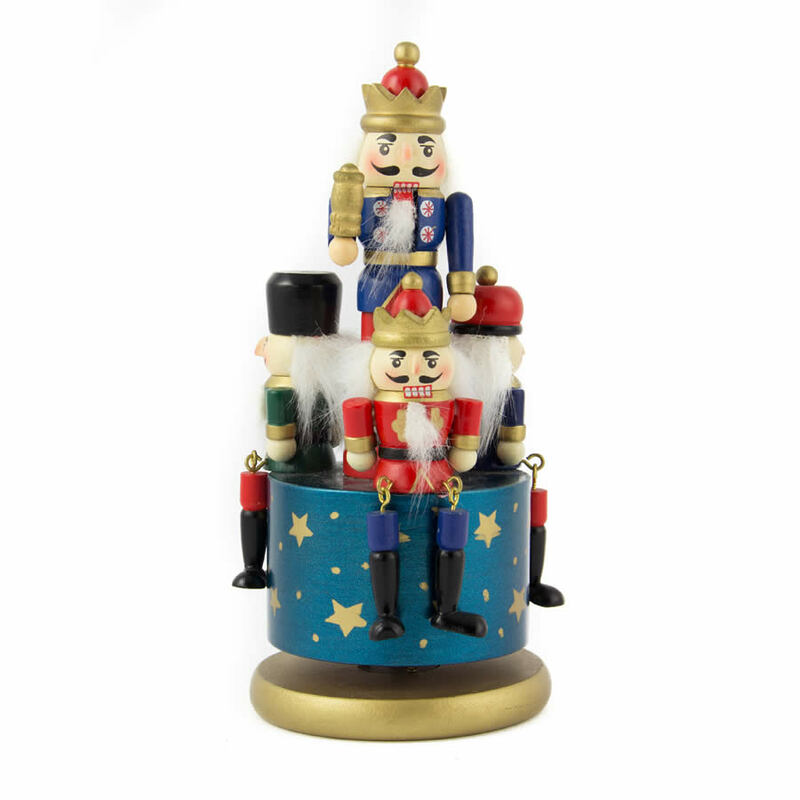 The tiny wooden soldiers sit atop a wooden base that serves as the music-box for the accent. Each soldier is dressed to impress in their boots, crown style cap, with their flowing, fluffy beards. The unique fixtures at the knee of each of the soldiers provides a clever touch, that allows their legs to dangle over the side of the carousel. The primary soldier stands tall and mighty- with some details that include a rifle, a baton, and a bejewelled crown.